I love quick and easy ways to make dessert for my family to enjoy. 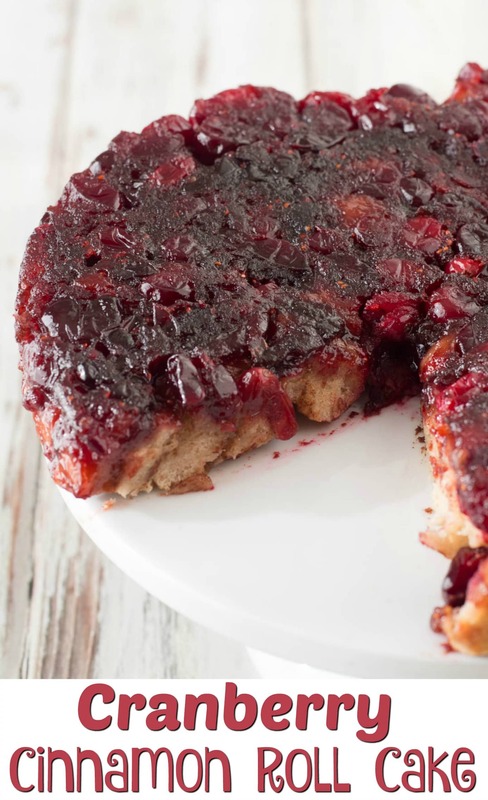 One of the best ways to do this is to take a pre-made product and add a little twist to it to make it special, like I did for this Cranberry Cinnamon Roll Cake. This recipe uses Immaculate Organic Cinnamon Rolls combined with a few simple ingredients to make a delicious holiday cake! 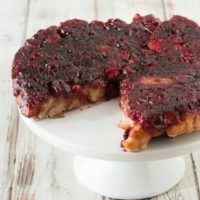 To make this cake I melted butter and sugar in a saucepan and added cranberries to make a caramelized topping for the cake. The topping is almost like cranberry sauce, and is a delicious combination of sweet and tart. The cake is an upside down cake, so the topping goes in the cake pan, and then the cinnamon rolls go on top. I cut the cinnamon rolls up into small pieces and spread them out so they cover the topping. After baking I flip the cake upside down on a plate, which allows the cranberry topping to soak into the cake and run down in between the cinnamon roll pieces. The cake was delicious! The Immaculate Organic Cinnamon Rolls come with vanilla icing, but I didn’t think the cake needed any extra sugar, so I saved it to use later. 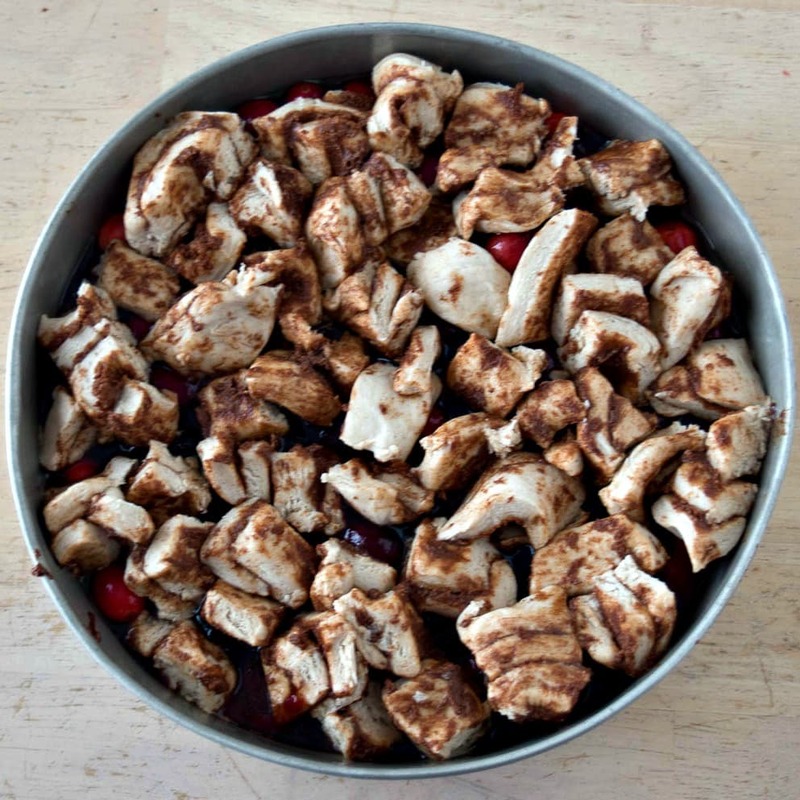 Mix the butter and brown sugar in a sauce pan and heat until both melt. 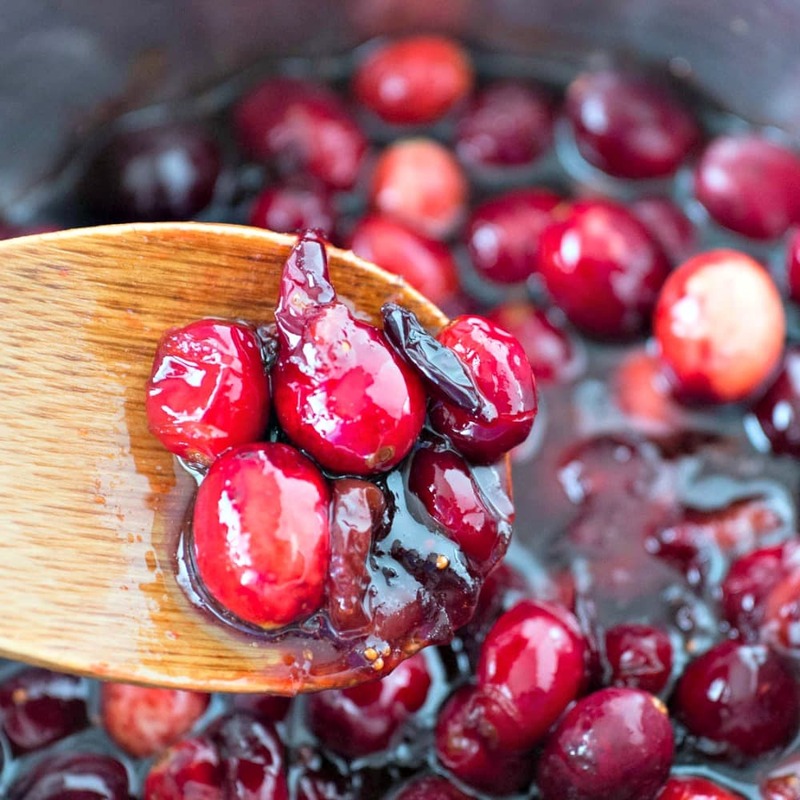 Add half the cranberries and continue heating, stirring, for 10 minutes. Spray an 8 inch cake pan with cooking spray. 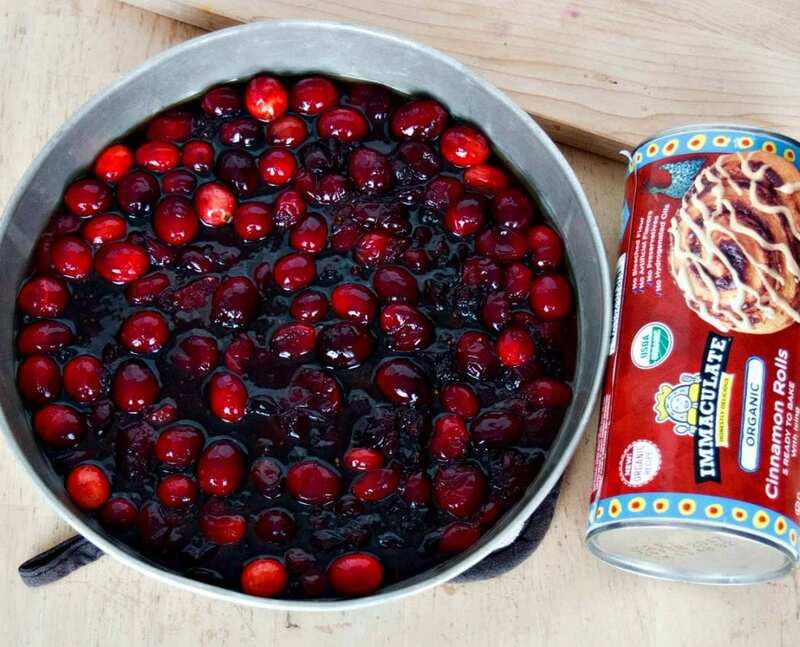 After 10 minutes add the remaining cranberries, and pour the entire mixture into the cake pan. Open the cinnamon rolls and cut them into small pieces. 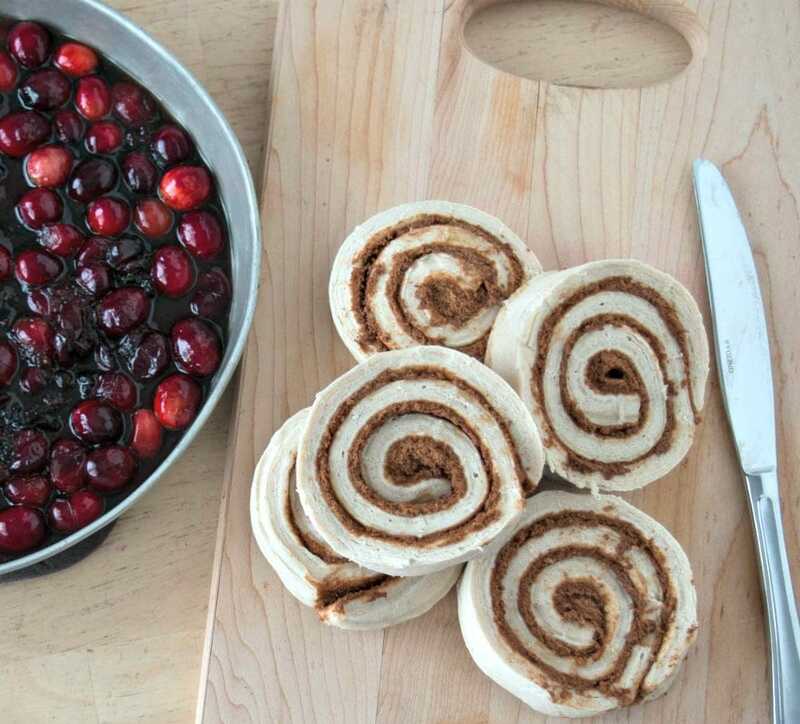 Spread the cinnamon roll pieces in the cake pan, covering the cranberry mixture. Bake for 20 minutes, until cinnamon rolls are browned on top. 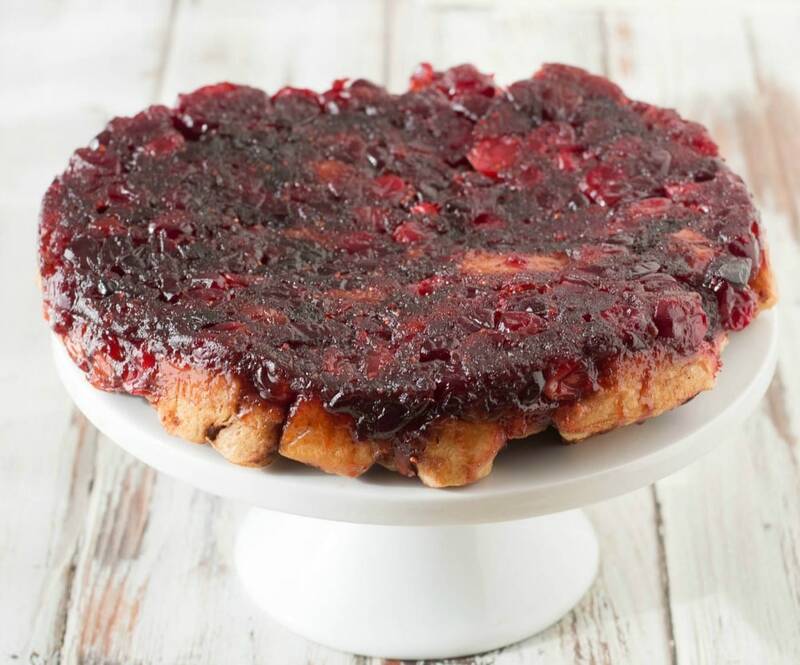 Flip the cake onto a platter so that the cranberries are on top. 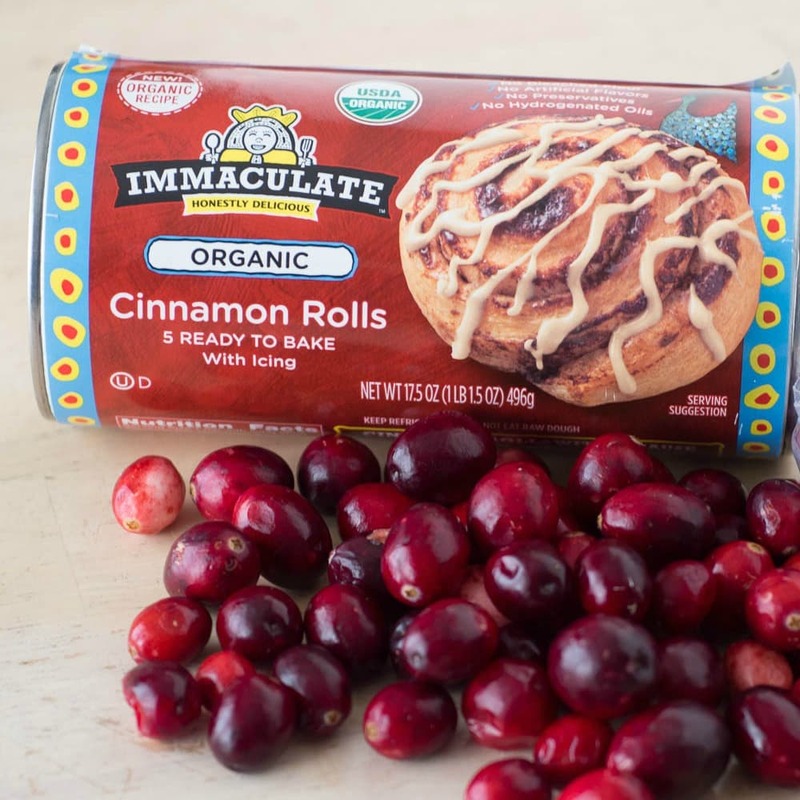 Immaculate Baking Company is known for making wholesome baking products, like the Organic Cinnamon Rolls I used. The Cinnamon Rolls have no preservatives, artificial flavors or hydrogenated oils, so I can feel good serving them to my family. They also have a whole line of gluten-free products, including cookie mixes. I especially love their Ready-to-Bake Pie Crust, which I have been using for the past few years for all my holiday pies! So for your holiday baking this year look for Immaculate Baking Company’s wholesome baking products. In my area their products are easy to find at Wegmans and Target, and you can find out where they are located in your area here. Visit Immaculate Baking online for product descriptions and recipe ideas! Also, make sure to download and print a coupon for $1 off any Immaculate Baking product. This looks scrumptious! Can’t wait to try this! Mmm, that is delicious! 🙂 I will have to try this, bookmarking! Thanks so much.